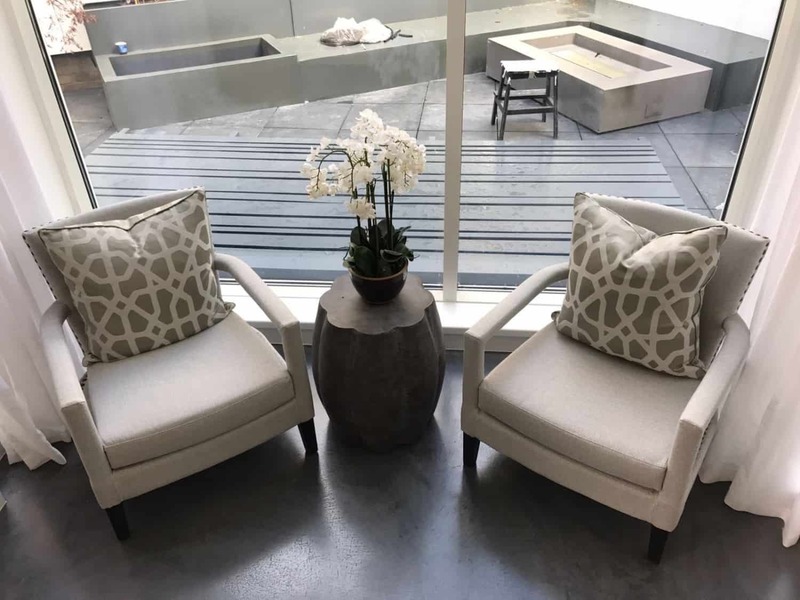 The London-based Milanese designer, Alessia Mainardi, invited us to work on concrete floor designs for her bespoke interior project in West London. Alessia is known for her clever mix of modern materials with classical and vintage Italian design. She wanted us to explore very dark, rich polished concrete floor designs that would complement her luxurious concept for the project. In particular, Alessia wanted us to focus on polished concrete floor designs for the staircase, as she had a particular idea for a ‘floating’ concrete staircase. This was a challenge for us, but with careful planning and construction, we managed it. 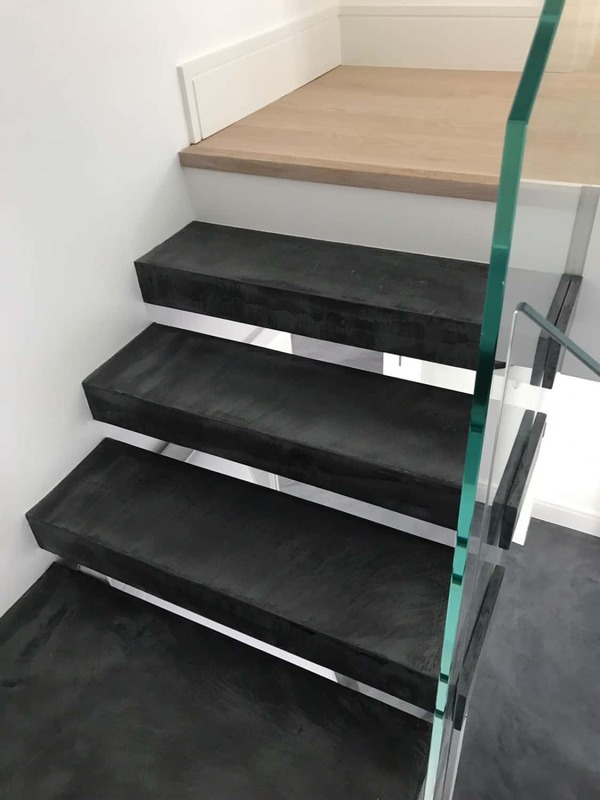 After considering a few concrete floor design options, we used 100% Black Ideal Works Micro Topping throughout the hallway, kitchen and the staircase — and the end result looks incredibly effective! 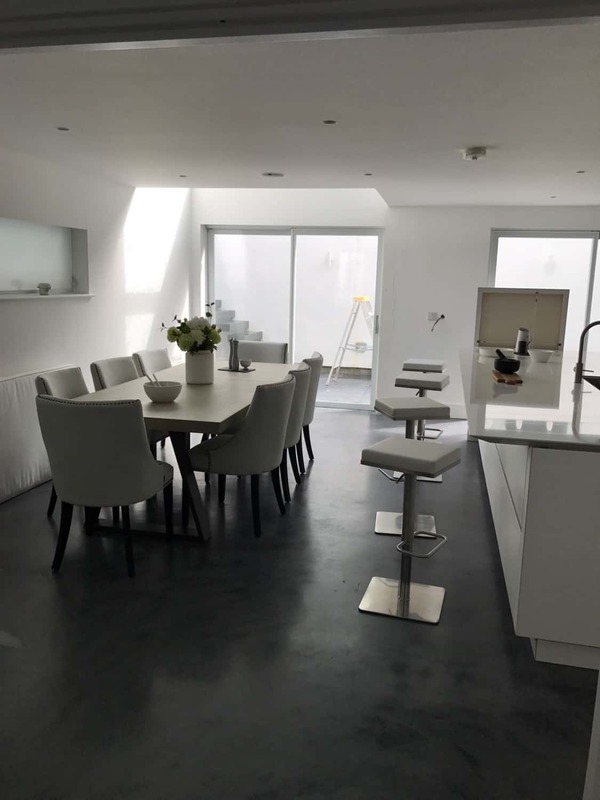 The Polished Concrete Co have seen a massive move towards darker floors in the last 12 months. Alessia was one of the first designers to use the product in this way. She chose the Ideal Works Micro Topping mainly because it is possible to create many different concrete effects and floor designs with it. The Ideal Works Micro Topping looks has an interesting texture, with lots of marks made by the application process of the concrete by trowel. This type of concrete technique creates a very distinctive pattern. Each polished concrete floor has a unique and individual finish. The black micro topping looks particularly dramatic as when it is applied over a white concrete base coat, as the micro cement creates a wide colour contrast. The colours used in this concrete floor ranged from pure white to jet black. We produced a range of samples for Alessia with a white micro topping base coat. We applied two Ideal Works Micro Topping finish coats by hand in Black Micro cement with a trowel to create variations and contrast in the black concrete floor. We finished the floor with two coats of satin sealer to create a highly polished gloss finish. 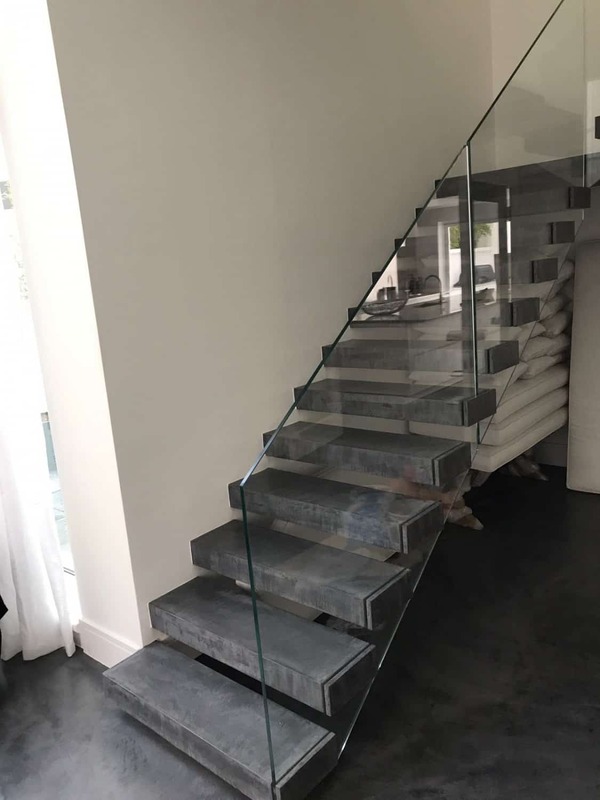 The concrete floating staircase was created by carefully applying three coats of micro cement by hand to wooden stairs which were then fixed to the wall and finished with a highly polished concrete gloss seal. This finish looks really effective in a light-filled area as the contrasts in colour are highlighted giving incredible depth and warmth. 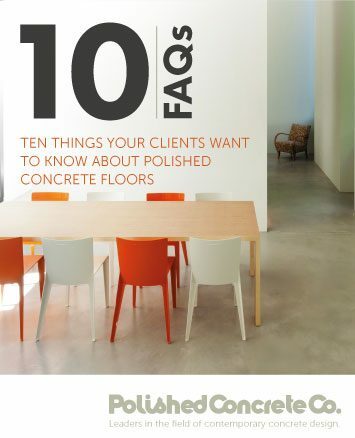 If you would like to discuss your concrete floor design ideas, please get in touch. We have a wide range of design styles and finishes available for you to choose from.